Students form groups and make sentences. Start with 3 lives. The teacher checks the grid. Angels= 1 extra life Bombs= take any other team´s life Guns= lose a life. 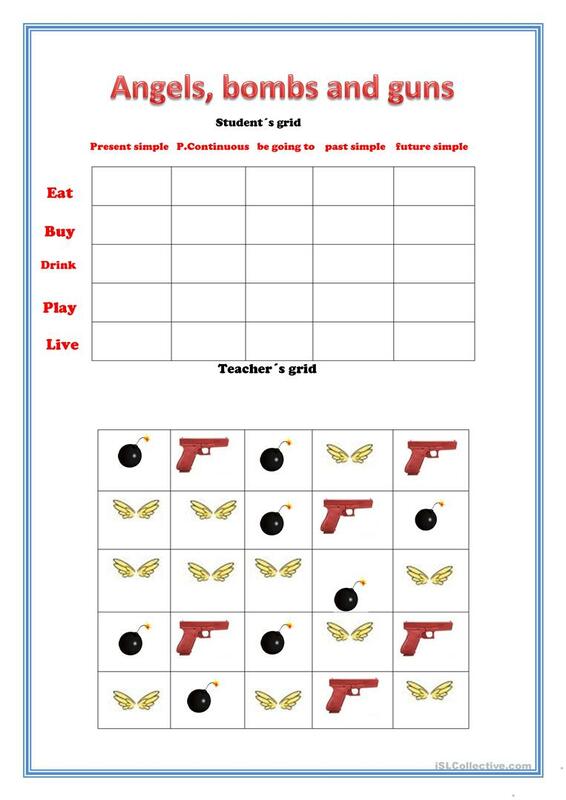 The above downloadable printable is meant for high school students, elementary school students, kindergartners and nursery school students and adults at Beginner (pre-A1), Elementary (A1), Pre-intermediate (A2), Intermediate (B1), Upper-intermediate (B2) and Advanced (C1) level. It is excellent for developing your pupils' Speaking and Writing skills.